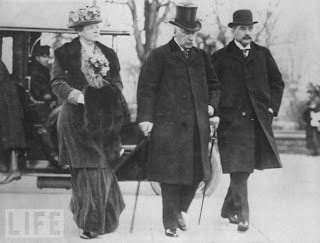 At his death in 1913, J. Pierpont Morgan had accumulated a fortune of $1.4 billion in today’s dollars, earning the nickname “Jupiter”, the king of gods. Today, hedge fund managers earn more money than god. In 2006 Goldman Sachs awarded its chief executive, Lloyd C. Blankfein, an unprecedented $54 million, but the bottom guy on Alpha magazine’s list of the top twenty-five hedge-fund earners reportedly took home $240 million. That same year, the leading private-equity partnership, Blackstone Group, rewarded its boss, Stephen Schwarzman, with just under $400 million, but the top three hedge-fund moguls each were said to have earned more than $1 billion. Why they got that much? The answer lays in the fee system. Most of the funds have incentive fee, normally 20% of the profit they made. If they buy equity at $100 million and sell it at $200 million, the fund operating companies get $20 million. The company usually pays out all profits as salary every year. The history of hedge fund started when Alfred Wilson Jones started his investment company. 20% of incentive fee, long & short strategy, leverage, and changing investment methodology to seek for alpha – these four characteristics remain the essential concept of hedge funds. Like most financial institutions, Jones took clandestine approach. Hedge funds have been cutting edge of finance theory. There have been arguments on their compensation. They do provide liquidity to the market and enhance market’s price adjustment mechanism through the trading. In that sense hedge funds take positive role in the market. The question is whether the high compensation is justifiable for the sake of market stability and efficiency they allegedly provide. Not sure the answer for now, but I think the key is incentive and information. Bad incentive and information induce bad behavior. If we want to alter the current compensation scheme, do not jump into the naïve / straight-forward regulation but into the revision of incentive scheme. Taleb mentioned this point too. When you look at the collapse of LTCM and relative longevity of Tiger Management and Quantum Fund, you may sense that we need some sort of slack (which is reflected in D/E ratio). We human being with limited ability make decision based on limited information. We may be right more cases, but cannot be always right. Need the slack for rainy days.